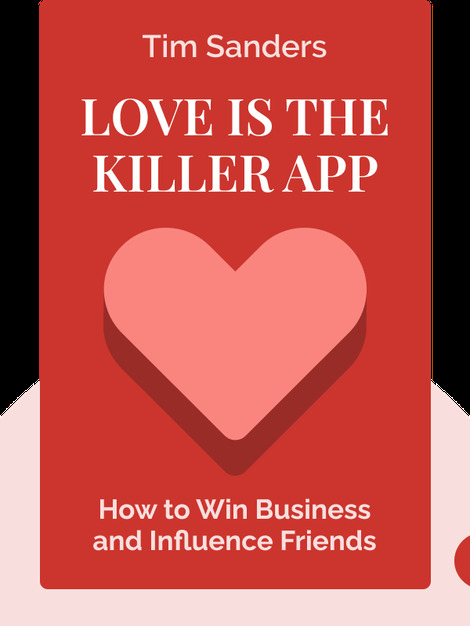 Love Is the Killer App (2003) is a guide to career success in changing times. The secret? Love and compassion. These blinks explain how love – in the business sense – can help you be smart, generous and compassionate while achieving your goals in both life and work. 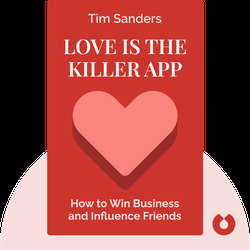 Tim Sanders has served as a consultant to Fortune 1000 companies, written several bestsellers and spoken all over the world. He uses his in-depth knowledge of business, psychology and marketing to help people and companies achieve their best in any economy.